Education is a pressure-point for most parents. I tend to swing between thinking they push the kids too hard and should just let them be kids, to worrying that my views on this are somehow holding my daughter back. I hate the thought of putting her under pressure or sucking the fun out of learning, but I do want to find ways to help her love learning. Kids are naturally curious and inquisitive, so it shouldn’t be too hard to get them inspired about learning new things and getting hands-on experiences. Firstly, a love of reading is something to encourage, so don’t feel you need to dictate what your child reads. If your child is engrossed in Captain Underpants, then, by all means, encourage that. It makes sense, however, to look out for books that may be relevant to the topics your child is studying at school. Take a trip to the library together and let your child search for any books on the topics she’s learning about in the classroom. A good old fashioned museum trip is the perfect way to compliment your child’s education. Most museums are curated with kids in mind, so there are plenty of hands-on learning experiences and activities throughout. Sign up to the mailing lists for local museums so you can keep up-to-date with any exhibitions that may be opening. It’s always worth checking online to see whether there are any relevant museums or tourist attractions when your child starts learning a new topic at school. 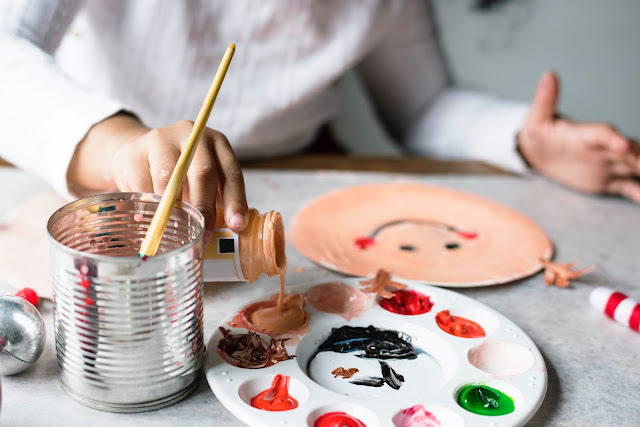 Art projects are always a big hit in this house, I think most kids love an excuse to get messy and be creative. You can turn pretty much any topic into a craft project. Science experiments can have a craft element (for example, building and painting the volcano before conducting an experiment to make it erupt). History topics can be turned into paintings or storybooks. There are plenty of ways to learn while you’re cutting, sticking and painting. If you’re stuck for ideas, take a look on Pinterest for inspiration. Cooking is another activity kids enjoy. You can teach your kids about food safety and hygiene while exploring some of the topics they’re covering at school. Measuring ingredients is good maths practice so make sure you let her do it herself (even if it makes a mess). If she’s learning about the war, you could design and cook a family meal using the types of foods people had access to during rationing. You don’t have to plan an activity or spend hours searching the internet for ideas, a simple trip to your local park will benefit your child. Your child’s physical development is just as important as her academic achievement so make sure she has plenty of opportunities to practice jumping, climbing and running. If you want, you can add in a nature trail or a scavenger hunt for some extra learning opportunities - but, honestly, time spent getting muddy in the garden isn’t wasted time. Kids ask a lot of questions, usually about things you don’t know the answer to. They never ask you about your specialist subjects, instead, they just hurl question after question about things you have no idea about. It’s always best to be honest, don’t try guessing, just say you don’t know and then work together to figure out the answer. You can research using books or the internet, or ask an expert, but make sure it’s something you do together so your child will see how rewarding it is to find out answers for herself. Life is busy, isn’t it? Especially after school. You’re trying to prepare dinner and get the house sorted and finish off that work you didn’t quite have time to do earlier. And your child is talking at speed about an argument in the playground and something funny that happened in class and this thing she learned today. It’s easy to nod along and make the right noises without really listening, but being present and listening to your child when she tells you about her day at school is an easy way to encourage her education. Show an interest, ask questions and really listen to what she tells you. Make time each day to just sit and chat before you get distracted by your to-do list.